Partners' Profile - Rahman Mostafa Alam & Co.
Mr. Rahman is a fellow member of the Institute of Chartered Accountants Bangladesh (ICAB) and has been privileged to serve as a Council Member, Vice President, Chairman of number of committees of ICAB and committee members since many years. He has been in the accountancy field since graduation in 1968 and is currently the managing partner of Rahman Mostafa Alam & Co. He handles the core clients of the firm which include Banks, Insurance Companies, Multinational Companies, Other Financial Institutions, Government and Autonomous Organizations. He is the key contact person and taking care of Marketing, Finance & Accounts and HR & Administration of the firm. 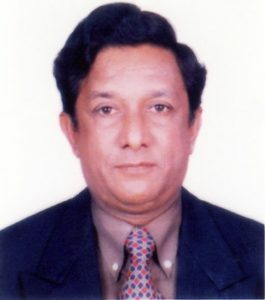 Prior to join Rahman Mostafa Alam & Co. Mr. Rahman has served as the Accountant member, Taxes Appellate Tribunal under the National Board of Revenue (NRB) of Ministry of Finance 1992 to 1995 and he was the Financial Controller of The General Electric Company of Bangladesh Limited (GEC) from 1979-1988 and was responsible for Finance, Accounts and Administration through the company. Mr. Rahman is an active member of International Association of Rotary District – 3281, Bangladesh and served in various capacities in the Rotary District. He is a widely travelled person and visited England, USA, Australia, Canada, Japan, Scotland, Ireland, Sweden, Switzerland, Denmark, Germany, France, Netherlands, Czech Republic, Italy, Uzbekistan, Korea, Singapore, Malaysia, Thailand, Saudi Arabia, Nepal, Pakistan, Maldives, Sri Lanka, Bhutan, India, China, Turkey, New Zealand, Egypt, UAE, Indonesia and Philippines. 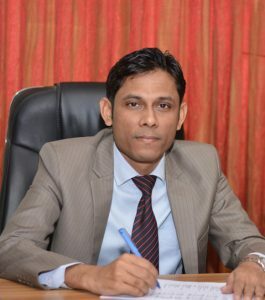 Mr. Alam is a qualified accountant and member of the Institute of Chartered Accountants of Bangladesh (ICAB) and has been assigned to serve on a number of committees of ICAB. 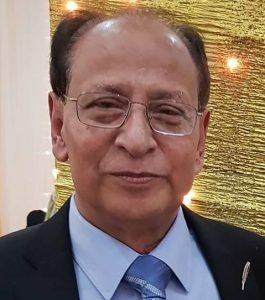 He has been in the accountancy field since graduation in 1967 and is currently a Senior Partner of Rahman Mostafa Alam & Co., which he set up in 1986. He handles the day to day engagement of all clients which include Banks and Insurance Companies as well as other Corporations. He is involved in all service areas of the clients. Prior to setting up Rahman Mostafa Alam & Co. he was the Chief of Finance and Accounts in the Islam Group of Companies from 1972-1986 and was responsible for the finance, accounts and administration throughout the country and was also involved in some overseas projects. Mr. Alam is an active member of International Association of Rotary District – 3281, Bangladesh and served in various capacities in the Rotary District. He is a widely travelled person and visited India, Singapore, Thailand, Malaysia, Hong Kong, Australia, USA, Saudi Arabia, Turkey and Egypt. Mr. Arafat is a Fellow Chartered Accountant who became qualified during the year 2010. He started his service career during 2008 as the Deputy Manager of Grameen Health Care Services Limited, a venture of Grameen Bank. After leaving that job Mr. Arafat started working as the Manager-Accounts of Mostafa Group of Industries, one of the largest business groups in Chittagong. After that, he served GPH Ispat Limited, a public listed company at the capacity of Manager-Accounts. During the year 2010 he become a qualified Chartered Accountant and joined at ‘Rahman Mostafa Alam & Co.’ as it’s Director. Later he becomes a partner of the firm. Mr. Arafat has practical experience in Auditing, Corporate Finance, Capital Issue, Company Law matters, Securities & Exchange Rules, Taxation & others. 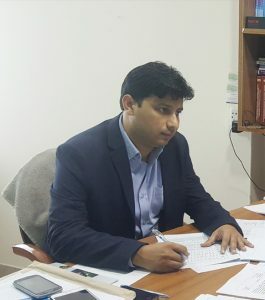 Mr. Arafat is contributing as a faculty member of the Institute of Chartered Accountants of Bangladesh (ICAB), Chittagong at both knowledge and application level since 2010. He also contributes to the “Accountant”, the quarterly publication of ICAB as a writer. 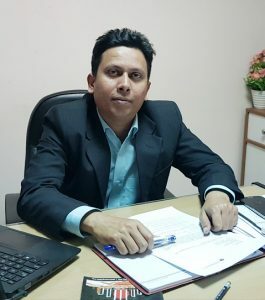 Mr. Haque is a Fellow member of the Institute of Chartered Accountants of Bangladesh (ICAB) and has been privileged to serve on a number of committees of ICAB. He has been in the accountancy field since graduation in 2005 and is currently a partner of Rahman Mostafa Alam & Co. He handles the day to day engagement of audit of accounts of Banks, Non-banking financial institutions, Insurance companies, listed companies, and NGOs as well as other limited companies. He is involved with the firm’s engagement of valuation of fixed assets of various organizations. Prior to join Rahman Mostafa Alam & Co he was the head of Finance and accounts of Novus Pharmaceuticals Limited, a concern of Abdul Monem Group from 2009-2011. Mr. Anwaruzzaman is a Fellow Chartered Accountant who became qualified during the year 2011. He started his service career during 2009 as the Deputy Manager (Audit) of Novus Pharmaceuticals Limited and Abdul Monem Financial Services Limited, a concern of Abdul Monem Group from 2009-2010. After leaving that job Mr. Anwaruzzaman started working as the Manager-Accounts and Finance and promoted as Assistant General Manager- Accounts and Finance of Union Development and Technologies Limited, a large real estate company. In the year 2011 he has completed his post graduation (MBA) from the Business faculty of the University of Dhaka. During the year 2011 he become a qualified Chartered Accountant and joined ‘Rahman Mostafa Alam & Co.’ as its Director. Later he becomes a partner of the firm. Mr. Anwaruzzaman has practical experience in Auditing, Corporate Finance, Capital Issue, Company Law matters, Securities & Exchange Rules, Taxation & others. Tahmina Akter is a fellow member of The Institute of Chartered Accountants of Bangladesh (ICAB). She is also a member of The Institute of Certified Public Accountants in Ireland (CPA Ire). 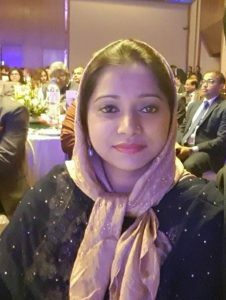 She started her career in 2011 with Abul Khair Group, one of the leading local conglomerates of Bangladesh, after completion of her CA article-ship with Rahman Mostafa Alam & Co. Chartered Accountants and worked there for four years in various capacities. In 2018, she joined Rahman Mostafa Alam & Co. as Director-Audit and later she became a partner of this firm. Prior to joining this firm she had worked with Ahmad & Akhtar Chartered Accountants as Director- Audit & Consultancy for a year. She completed her Masters degree majoring Accounting from The Government College of Commerce, Chittagong under National University. She is also an associate member of Prime Advisory Network (PAN), the largest network of qualified members and firms worldwide.